In filling business niche, Sahra Abdikarim fulfills personal dream. 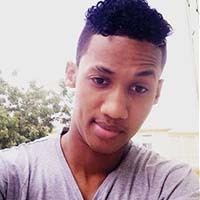 “I had the dream to be a technology person and also establish a technology company in Mogadishu,” said Abdikarim, 30. She fulfilled that dream by opening Sostec Inc., which provides web hosting and design services, as well as tech support, to clients including government ministries and local and international businesses. The entrepreneur launched her firm in 2006, a year after graduating from the University of Science and Technology in Sana’a, Yemen. Just 1.1 percent of Somalia’s largely poor population had internet access then, according to the International Telecommunication Union, whose research showed a tiny increase — to 1.8 percent — as of 2015. In the mid-2000s, Somali businesses and other internet users complained of having to seek services outside the country, encountering language barriers, high costs and slow response times. 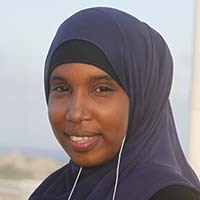 Abdikarim saw a niche to provide solutions, she told the independent entrepreneurship group Startup Grind Mogadishu. Abdikarim herself faced obstacles. 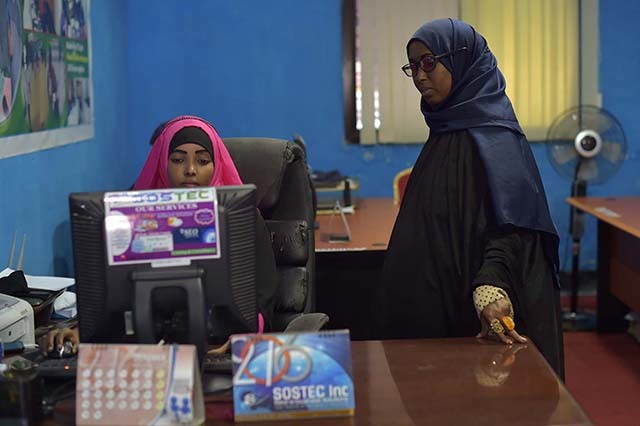 As a woman attempting a startup in the male-dominated technology field — a heightened challenge in Somalia’s patriarchal society — her abilities came into question. Her physician husband encouraged her efforts to develop software and supply other web services. “He supported me throughout in winning this field,” Abdikarim said, noting she didn’t have to seek outside funding. His work “100 percent covers the finances” for the couple’s household, including their four young children. She contributes support for her extended family. Others depend on Abdikarim, too. 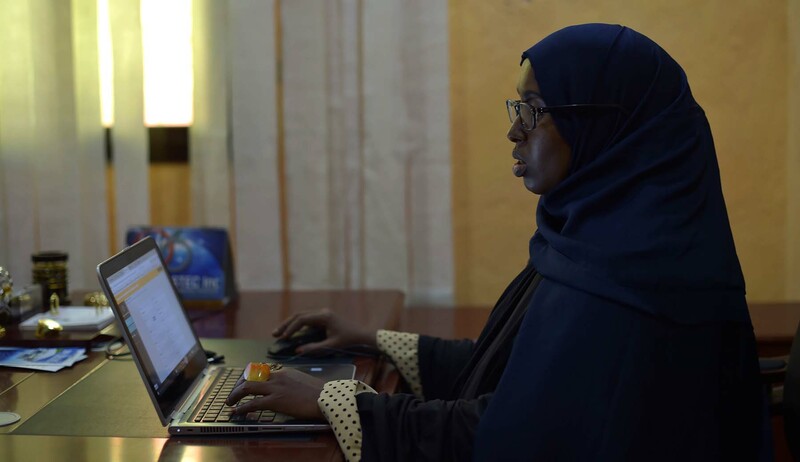 Her tech team — which now has 15 employees, including branch operations in the cities of Baidao and Hargeisa, Somaliland — assists businesses, hospitals and government ministries. In 2015, Sostec rolled out Aflixi, an online education forum encouraging information-sharing on computer science, health science, Sharia, agriculture, civil engineering and more. 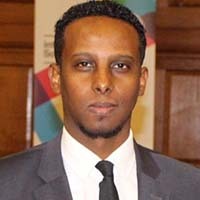 Abdikarim said the free, ad-sponsored site has at least 9,000 subscribers. The company also does some philanthropic work. For example, Sostec has set up websites at two schools for the blind, where students use computers to hear audio lessons and write onscreen, gaining access to the internet and social media. Abdifatah Mohamed Dahir, the principal at Alnur School, confirmed that Sostec "gave us a website without any cost," along with training for teachers. 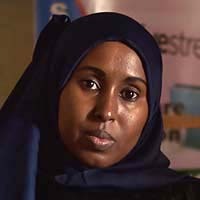 Through Sostec, Abdikarim assists people — just as she’d pledged long ago.